When dealing with office politics and interpersonal conflict, how do you “show up”? If you are facing tricky situations, how well do you use tact, emotional intelligence, and forethought regarding impact to handle them? For exceptional leaders, finesse is the key. It is what they possess and how they accomplish objectives. Finesse enables them to influence, motivate, and hold people accountable as they create work environments where employees thrive. Explains the seven essentials of finesse in STEM organizations via real-life war stories. Lays out a proven method with user-friendly frameworks to help you build proficiency in the finesse essentials. Details specific actions that will help you succeed in each essential. Science: health care, medical diagnostics, medical devices, and biotech. Technology: software, semiconductors, information security, consumer electronics, and wireless technologies. Engineering: automotive, aerospace, engineering/construction, and automation/control. Finance: banking, credit, and insurance. Leaders who oversee STEM organizations such as research and development (R&D), information technology (IT), and finance departments will also find increasing finesse invaluable to their ongoing success. This includes CIOs, CFOs, and heads of R&D along with their team members. 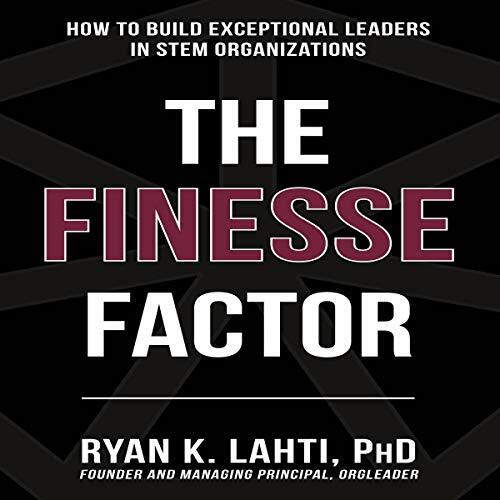 The Finesse Factor is the first book that focuses on building finesse proficiency and enables you to do something about it. It is oriented toward action.